I will start this by saying that I read this book for the first time over ten years ago. I just had it sitting in my closet and never read past this first one, so I thought it was time I reread it and finish the series. There are some good things and some bad things. Stephanie Plum is a funny gal. There were some quotes that had me giggling. Her family is also hilarious especially her grandmother. Stephanie seems determined enough. . . but she seeks out too much help and seems really helpless at times along the way. Now, this is her first stint as a bounty hunter, and like I said, I haven’t read the rest of the series. I am hoping she becomes more independent or she will be the exact opposite of the female protagonists that I love, i.e. Lindsay Boxer. That said, this book IS entertaining. I remember liking it when I read it the first time, and I did enjoy it when I read through it again. It took me a little longer than I would have liked to get through it. But, such is life, I suppose. 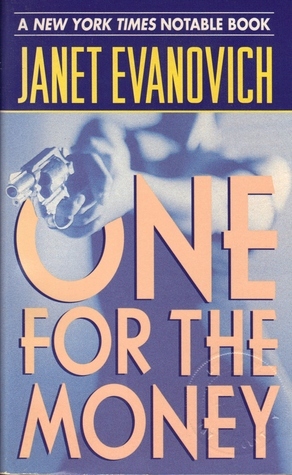 There was a lot of action for the first novel in a series, so I can only imagine that each subsequent novel will bring the same punch.